The Sub-Saharan nation of Malawi has made progress in human development over the past decade, but it remains one of the poorest countries in the world. Over half the nation’s population lives in poverty, and some 25 percent live in extreme poverty. When the Millennium Challenge Corporation (MCC) and the Government of Malawi began looking at the primary constraints to the country’s economic growth in 2009, one thing stood out — the availability and quality of the nation’s power supply. Just 10 percent of Malawians had access to grid electricity and even for those connected to the grid, power was often unreliable and cut for eight to 12 hours per day. But inadequate power doesn’t tell the whole story of life in Malawi. The country is also hindered by gender inequality. Women in the agricultural sector tend to have smaller lots of land, and those in other sectors suffer from a lack of access to credit and capital. So, when we partnered with the Malawian government to revamp the nation’s power sector, we didn’t limit our efforts to producing more electricity. We also sought opportunities to help women in the country advance in the context of the power-focused compact. I traveled to Malawi ahead of our compact closeout and met with some of the inspiring women who have been empowered by projects implemented under MCC’s compact. Not only are those women compact beneficiaries, they are working to reshape the country’s future. At MCC, we believe that one of the best ways to accomplish our mission to reduce poverty through economic growth is by investing in women’s economic empowerment. The reason is simple — research shows that empowering women leads to stronger economies, increases in household incomes, and higher profits for businesses. So, no matter what sector we invest in — power, land, transportation, water — we look for ways to ensure that women are provided opportunities to play a key role in driving progress that will positively impact them and their communities. 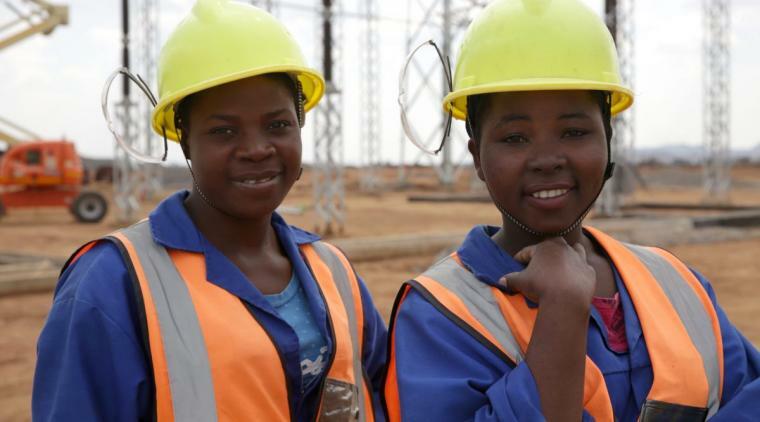 In Malawi, women helped to realize the potential of efforts across the power-focused investment, making key contributions to each of the three compact projects: infrastructure, power sector reform, and environmental management. Hydropower generation plays a big role in Malawi’s power sector, but chronic weed infestations and excessive sediment buildup in the Shire River Basin as a result of poor land and environmental management, have led to hydropower disruptions and inefficiencies. The compact’s $32 million Environmental and Natural Resource Management Project was designed to implement modern environmental and natural resource management techniques in areas upstream from the hydropower plants. The project also included a Social and Gender Enhancement Activity that focused on engaging women to improve how land along the riverbanks is used and reduce the negative impact on natural resources while increasing economic opportunities and decreasing outages at downstream hydropower plants. Emily Hussein used to spend her days collecting firewood and charcoal, which she would sell as her only source of income, leading to deforestation and soil erosion. 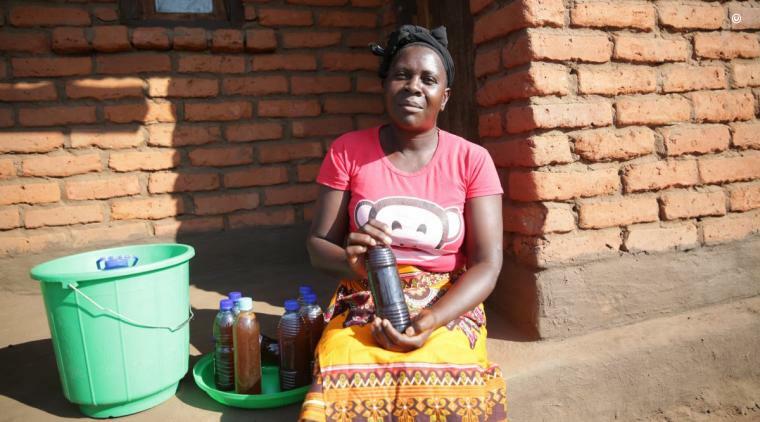 But with the help of MCC’s Environmental and Natural Resource Management Project, she secured a loan that allowed her to become a beekeeper — decreasing her impact on the landscape and increasing her family’s household income. Upgrades to the power infrastructure formed a major piece of our compact with Malawi. A new high-voltage 400kV electricity transmission line — a significant upgrade from the old 132kV line — was built and is now connected by a host of newly constructed and upgraded substations. The line will provide a stronger and more efficient, higher voltage backbone for the transfer of electricity across Malawi. Women worked on sites across the country as new lines and substations were constructed and rehabilitated. Women working at the Ntonda substation in Blantyre had the opportunity to work on site in the morning, and attend training sessions in the afternoon to build specialized skills in bricklaying and carpentry, skills that will help them to earn more in future work. Infrastructure alone cannot solve the systemic, long-term challenges of energy access in Malawi. Effective institutions and strong policy frameworks are also needed to support continued expansion, encourage private sector investment and boost economic growth. As MCC worked with the Electricity Supply Corporation of Malawi (ESCOM), the national electricity utility, to improve processes and operations, the role of women was front and center. 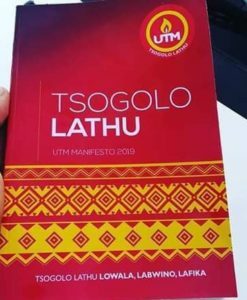 The utility successfully recruited a Gender and Social Inclusion Manager and established a unit to lead the development and implementation of ESCOM’s Social and Gender Inclusion and Anti-Sexual Harassment Policy. Now, ESCOM will provide gender training and technical support to their entire staff. “Research has shown that organizations which have included women in their decision making forums and even in all the operations of those organizations are able to perform much better than organizations which don’t have women in their committees or teams,” Gender and Social Inclusion Manager Elube Chienda told me. ESCOM is also planning for their future workforce with a partnership with the University of Malawi. The scholarship and internship program aims to support the next generation of female engineers as students build their skills both in the classroom and in real world. “The idea is to ensure that we motivate them, and we inspire them so that when we have vacancies they will be the first ones to apply,” said Ms. Chienda. When I spoke with ESCOM scholarship recipients about how the program had changed their lives and aspirations, they were full of hope and confidence. “I’m graduating not only with theory and knowledge. I’m also graduating as an experienced engineer,” said scholarship recipient Mary Mnewa. With the completion of our five-year compact, MCC and the Government of Malawi have set the stage for more reliable power to be delivered across the country. At the same time, infrastructure upgrades and institutional reforms have secured the foundation for private sector investment while optimizing the potential benefits to women and local communities by promoting women’s economic empowerment through new job opportunities and reforms that incentivize women’s participation within the power sector. Empowering women in Malawi is helping to power the country, and MCC is proud to have played a role in cementing new opportunities for women in the future. This compact shows that investments don’t have to choose between policy and institutional reform, infrastructure improvements, and economically empowering women. As we move forward in our pursuit of poverty reduction, MCC will continue to make the economic empowerment of women a priority, regardless of which countries and sectors we are investing in. About the Author: Kate Pritchard is an International Communications Specialist at the Millennium Challenge Corporation. Editor’s Note: This entry originally appeared on the MCC’s blog.